For the telecom industry, digital transformation has upended much of the conventional wisdom. Digital platforms can lead to new service menus and revenue streams, supporting the bottom line. Digital has also represented the great equalizer – allowing local, regional providers to compete with the big players through the offering of innovative new service options in unique configurations. As service providers scramble to build faster networks and create digital-focused offerings – all at competitive price points – grabbing an advantage that distinguishes oneself from the rest of the pack becomes paramount. For many providers, the answer isn’t in the offerings themselves, as similar services abound. Instead, crafting a better overall customer experience is perhaps the best way to stake a claim, and telecom billing plays an important role in the relationship between customer and service provider. Service providers live and die by customer experience. Yet historically, the reputation of service providers might suggest otherwise – particularly filtered through the lens of some of the major players who have outsourced customer service roles en masse, often at the expense of customer satisfaction. 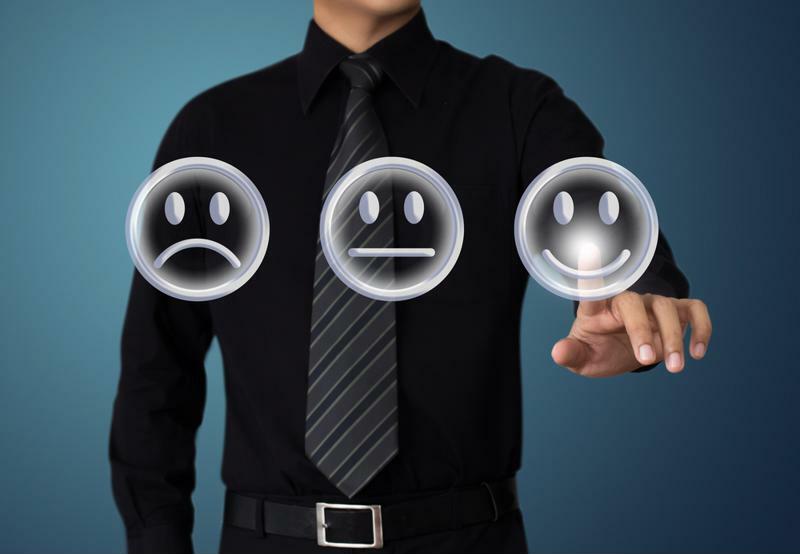 According to the “American Customer Satisfaction Index Telecommunications Report 2018,” there’s still significant room for improvement in the area of customer experience. Although the study revealed that in the past year customer satisfaction levels increased for the industry overall, those gains can be largely attributed to the advent of video streaming and on-demand services. Customer satisfaction levels for internet service providers actually decreased 3.1 percent, and ISPs were among the lowest rated segments observed by the ACSI. Customers reported a wealth of complaints, ranging from slow networks and data transfer speeds to lackluster call center support. Service providers, particularly regional ones, should consider the opportunity buried in these results. Amidst widespread dissatisfaction, the ability to provide a more intuitive, positive customer experience can build ironclad customer loyalty and even woo new customers. Providing a better customer experience can give service providers a strong competitive edge. Think customer experience is just a small piece to the telecom puzzle? Consider the case of France’s Orange Group. The telecom giant had struggled to turn a profit since the end of the last decade as it grappled with the same challenges facing other industry members: commoditization, falling revenue per user, increased competition, etc. However, Orange Group was able to reverse course in 2017, in part, by focusing its efforts on providing customers with a better end-to-end experience. “The strategy that we have been following for several quarters, which centered on giving customers an unbeatable experience through convergence around the home and a quality network, is now yielding results,” said Orange Group Chairman and CEO Stephane Richard. Certainly, service quality plays a large role in the overall experience, but it’s one of many. What’s important to remember here, as McKinsey & Company pointed out, is that the customer experience encapsulates every step and phase of the user journey – before and after a contract agreement is signed. There’s perhaps no better place to start enhancing the customer journey than the telecom billing process. With the only touchpoint for many providers being billing, customer service takes on a high premium. 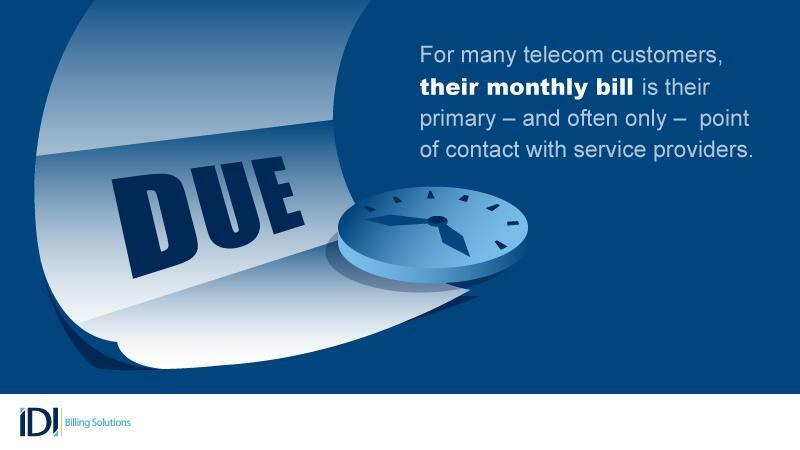 For many telecom customers, their monthly bill is their primary point of contact with service providers. Beyond that, the only time they reach out to their CSP is if there’s a problem like service disruption, new pricing or a network outage. This makes the billing experience critical to satisfaction, essentially defining the relationship between a provider and its customers. With that in mind, it’s important that CSPs enhance this particular touch point as much as possible. If there’s an aspect of the billing process that causes friction with telecom users, not only will it hurt the overall customer experience, but put service providers at risk for increased customer churn. Charges and fees could be poorly defined, confusing clients or even raising skepticism that they are being billed fairly. Inaccurate bills, resulting in over- or under-charging customers for services they may or may not receive. Slow billing processes, causing customers to feel rushed to pay their bills just because their service provider gave them very little lead time. Of course, telecom customers want more options regarding how they view and pay their bills. Some may prefer receiving an old-fashioned paper bill in the mail, while others appreciate the convenience and immediacy of paying their bills through an online portal. CSPs need to support whatever preferences their customers have. IDI Billing Solutions’ CostGuard® is good for both CSPs and their customers, allowing for improved billing accuracy, speed and convenience. After implementing IDI’s solutions, Wyoming-based Union Wireless was able to cut its billing time in half, and increased billing accuracy means customers know they are only charged for the services they use. Telecom service providers need to earn their customers’ trust. By doing so through transparent and accurate billing processes, they can build up a base of loyal customers who will help carry them through the digital revolution.